With a rapidly-changing threat landscape, IT security is important for companies, large and small, to protect information and IT assets while growing the business. However, smaller companies are faced with limited resources and budgets. 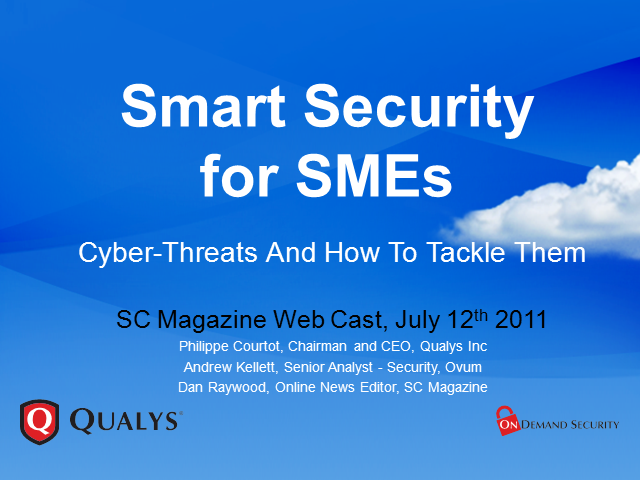 In this webcast, learn about the latest security threats facing SMEs and effective security strategies to protect your business.